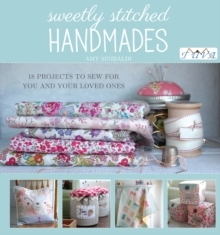 In her second book, Amy Sinibaldi offers another delightful selection of well-designed projects you'll love sewing for yourself and loved ones. You'll find 18 projects that are sure to brighten up a rainy day --or any day! Using easy to follow illustrations and step-by-step instructions, learn fun techniques that will make your sewing projects unique and charming. 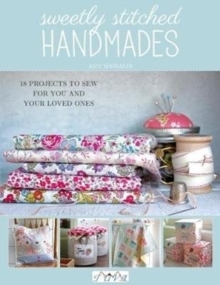 All the inspiration and how-to are right here in these pages. A variety of projects (including a lap quilt, a one-of-a-kind softie, modern cross-stitch, and zippered clutch) means you'll find something to sew for everyone. 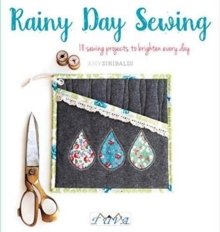 Rainy Day Sewing offers every sewist a chance to do what he/she loves best: create something beautiful that's stitched with love.